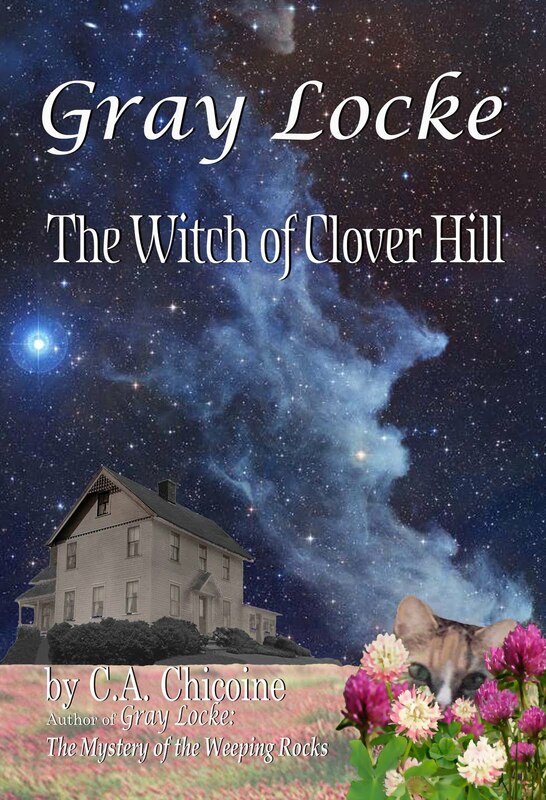 Gray Locke: The Witch of Clover Hill - AVAILABLE! Gray Locke: The Witch of Clover Hill is now available on-line at GrayLocke.com and sold exclusively at Papyri Books, Eagle Street, North Adams, Massachusetts. Gray Locke ~ The Witch of Clover Hill is now available online! The upcoming book, Gray Locke ~ The Witch of Clover Hill, is underway! The book and illustrations are finished, and all is formatted. The upcoming book, Gray Locke ~ The Witch of Clover Hill, is still in edit/proof-reading mode. It has grown to almost 53,000 words - as of this writing. Gosh! Much has changed since the last entry. There is now Gray Locke merchandise available on the website! The stock is very limited. It includes autographed copies of the book, bookmarker, and a puzzle. Also featured on the website is the Gray Locke Puzzle for the computer as a FREE download. It's all on the Gray Locke Gift Closet page. I'll be sure to keep you updated with the progress of the second book. I am considering releasing The Mystery of the Weeping Rocks as an audiobook. I hope to experiment with that this weekend. No further readings, appearances or interviews are scheduled at this time. My focus is on the next book. The next book is coming along. It is titled "The Chronicles of Cloverhill." It takes place in Gray's hometown of Marlborough, Massachusetts. Rather than chapters, it will contain four short stories. I'm very excited about it. :) I am hoping for an early spring release for this one. I had an interview with Kelly Bevan McIlquham of The Advocate the other day. The Mystery of the Weeping Rocks will be featured in their "Family Beat" section. Gray Locke ~ The Mystery of the Weeping Rocks is available to borrow from the following libraries: The North Adams Public Library in North Adams, the David and Joyce Milne Public Library in Williamstown, the Adams Free Library in Adams, and the Berkshire Athenaeum in Pittsfield, Massachusetts. The local bookstores carrying it have been updated as well, (Please see sidebar). I continue to work on either trying to schedule book readings and/or book signings. There is also the possibility of this book being available as an audiobook. More on all that as they develop. That's all for now. I'll post the article up once it's available. NORTH ADAMS -- When city native Craig A. Chicoine was laid off from Sheffield Plastics last year, he didn’t see his departure after 14 years with the company as a bad thing. "I’ve been using the time to pursue my dreams," Chicoine said Thursday. One of those dreams was becoming a novelist, and he’ll celebrate the release of his first book, "Gray Locke: The Mystery of the Weeping Rocks," which is self-published, as part of Word Play at Papyri Books this Saturday at 7 p.m.
Set in North Adams, the book chronicles the adventures of a 10-year-old boy (named Gray Locke), who sets off to solve his first mystery while visiting family in the city. Although specific locations are not named in the book, a majority of the story takes place at Natural Bridge State Park. "I have a special connection with Natural Bridge -- I’ve been going there all my life," Chicoine said. "The rock formations are incredible and something you don’t see anywhere else. Three of the chapters in the book take place there, starting with ‘the blasting rock.’ The characters refer to it as ‘the big rock.’ There’s also a chapter in the quarry part of Natural Bridge, where Gray goes into the field and then finds a cave. He also goes down to the [Hudson] brook, where the mills used to be." The book is the first in what will be a series of five, with a second book scheduled for release sometime in March, Chicoine said. "Initially, I was writing an adult novel about the same character," he said. "I was writing it in blog format, which allowed me to write it in entries. It was quite exciting. 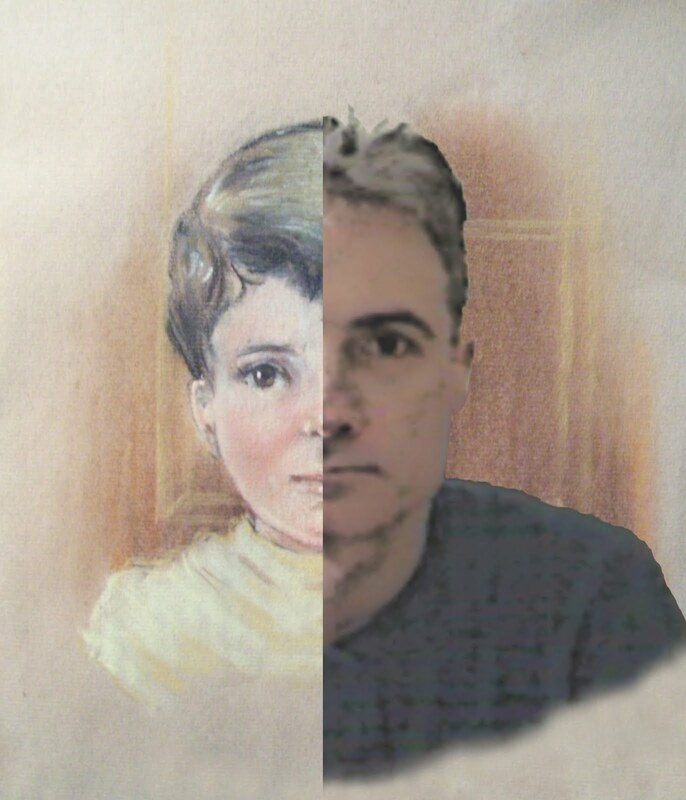 Frequently, I would write flashbacks as part of the story, and then realized that I should start from the beginning. I hope to finish the adult novel and publish it in a few years." The first book will introduce young readers to Gray Locke, an inquisitive child by nature, who comes from a loving and supportive family. In the second book, Gray’s adventures will take place in his hometown of Marlborough, and several of his friends will be introduced. Books three and four will return to North Adams, Chicoine said. 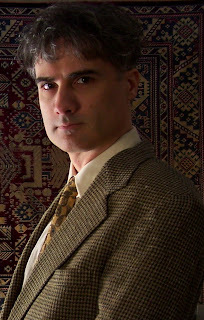 "Gray Locke: The Mystery of the Weeping Rocks," is available for purchase at Papyri Books, Chapters Bookstore in Pittsfield and online at Amazon.com. Copies also have been donated to the North Adams Public Library, the Adams Free Library, the Berkshire Athenaeum in Pittsfield and Berkshire Arts and Technology Public Charter School. Chicoine said he has been writing since age 14 and has about 10 different blogs going, along with several other projects. For more information on Chicoine, visit www.graylockeportal.blogspot.com or www.cachicoine.com. Click here for more information about this book and the author. Craig Alan Chicoine reads excerpts from his new children’s book Gray Locke: The Mystery of the Weeping Rocks. The setting of the story was inspired by actual locations in North Adams - in particular, the Natural Bridge State Park - interwoven with factual local history surrounding the area. With refreshments and open mic. Co-sponsored by Inkberry.